The belt is one of the most important accessories of the man. Not only is it vital to help you keeping your pants up, it’s also a very important fashion accessory, that you need to select carefully. Big Brand Boys has created a nice list of the most popular designer belts for men. The Gucci Belt is one of the most popular designer belts in the world. 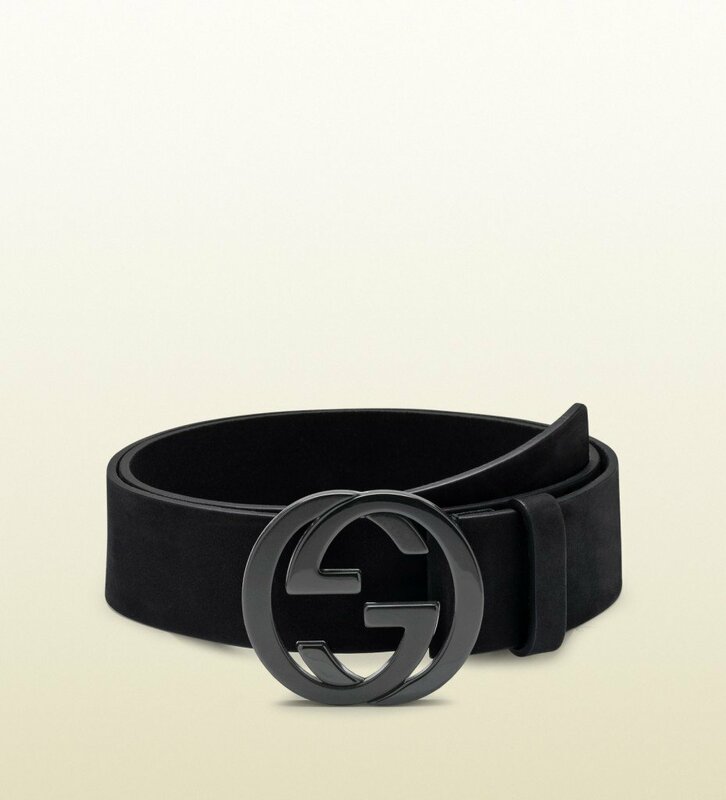 The iconic double G buckle symbols on the belt are the famous symbols that Gucci uses on a lot of their products, like glasses, shoes, shirts and other leather goods. The pattern on the belt itself can vary in a wide variety as Gucci has a lot of different colors, patterns and buckles to choose from. 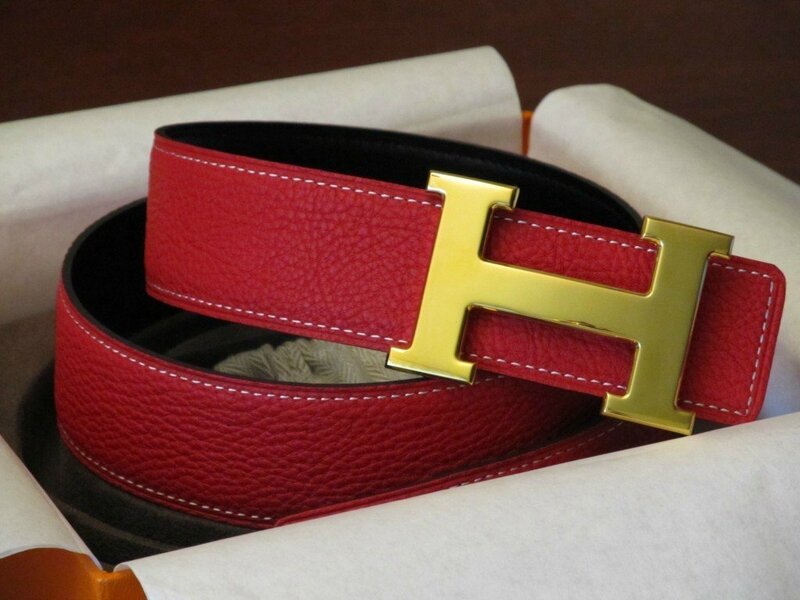 The Hermes belt has gained a lot of popularity in the last few years, mainly because the brand is now expanding to other garments then only their Birkin bags they used to offer at first. 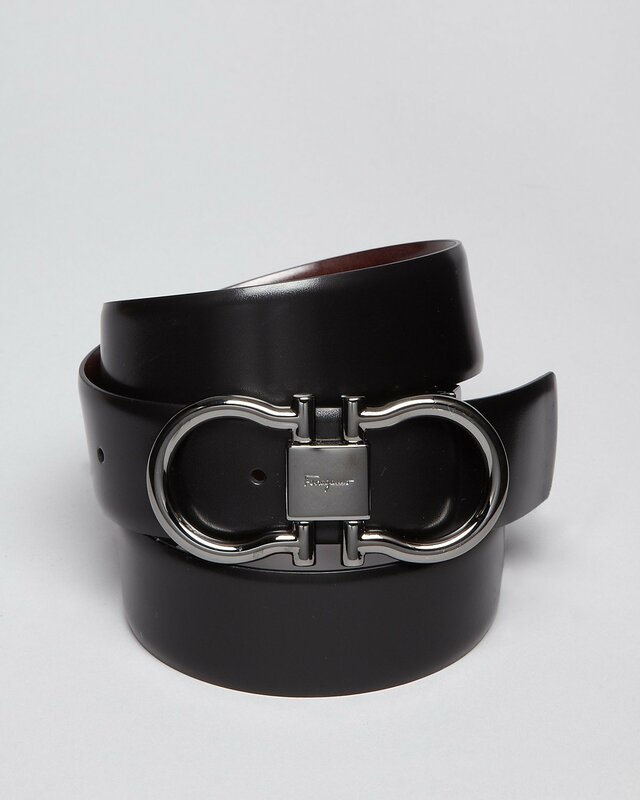 The Hermes belt is famous for its large H buckle, and it is available in a wide variety of leather. Different types of leather and prints are no problem, and they even produce belts with exotic leather like Snakeskin leather, and Crocodile leather. World’s most valuable luxury brand, Louis Vuitton, also has a nice collection of belts that you should definitely check out. 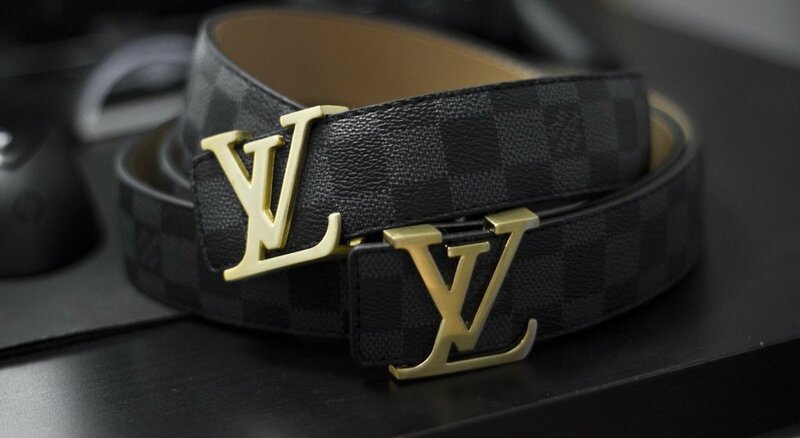 Their famous Monogram and Damier pattern are available on the leather belts itself, and the buckle is most of the time different variations of the LV logo. The Italian brand Armani is known for their stylish luxury leather belts. 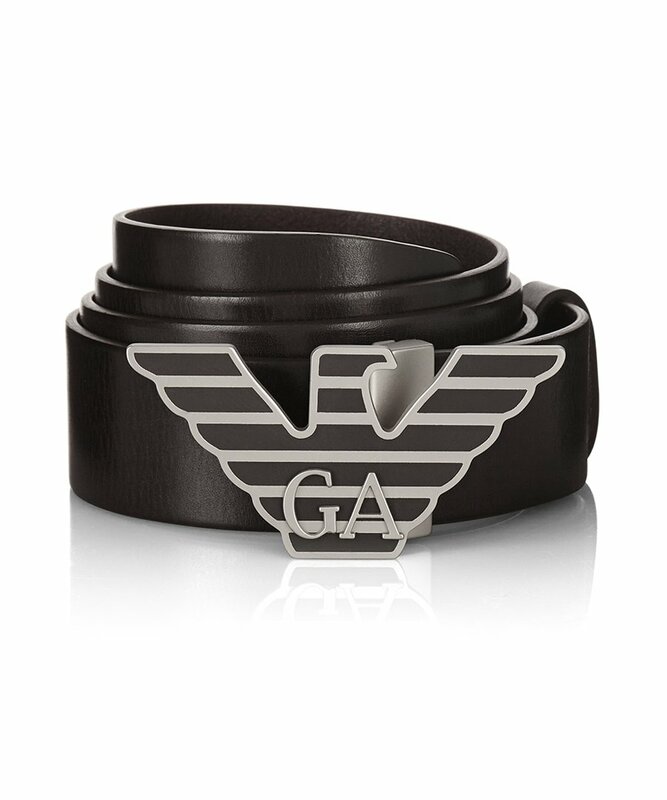 The Armani belts are most of the time one colored and have the Eagle logo on the belt buckle. They come in a variety of different kinds of leather, and are very stylish and solid. 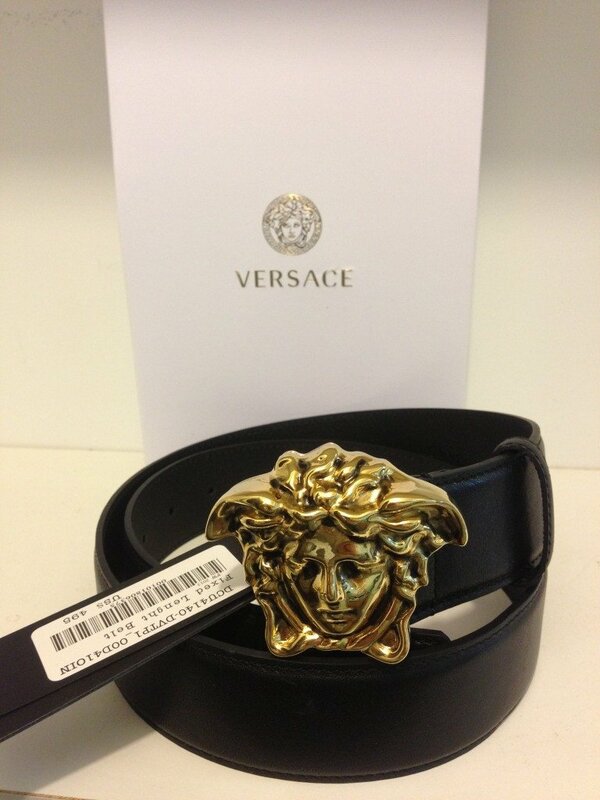 Versace’s belt featuring a Medusa head belt buckle is also becoming very popular amongst men. It’s no wonder as it is a great accessory to your wardrobe. The Medusa head is a very recognizable style symbol, that goes with almost any style. 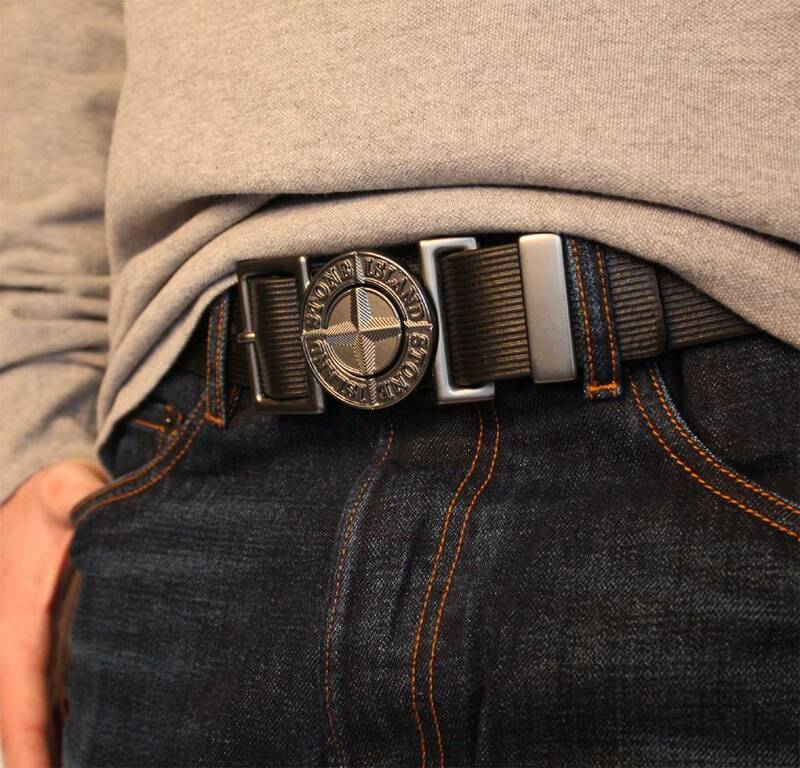 Stone Island also has a nice belt for men in their assortment. 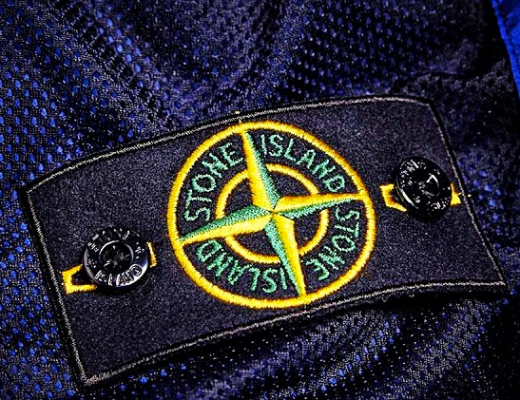 The Stone Island belt features the iconic Stone Island Compass logo on the belt buckle, and is completely made out of leather. As you can expect from the Italian Fashion brand, the quality is top notch. Salvatore Ferragamo belts are slowly winning in popularity. 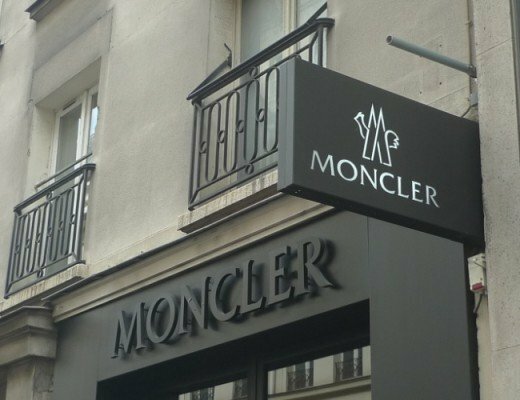 The iconic logo of the brand makes it recognizable from a very big distance. The infamous Fendi Zucca belt could of course not be left off from this list, as it is one of the most iconic designer belts of all time. 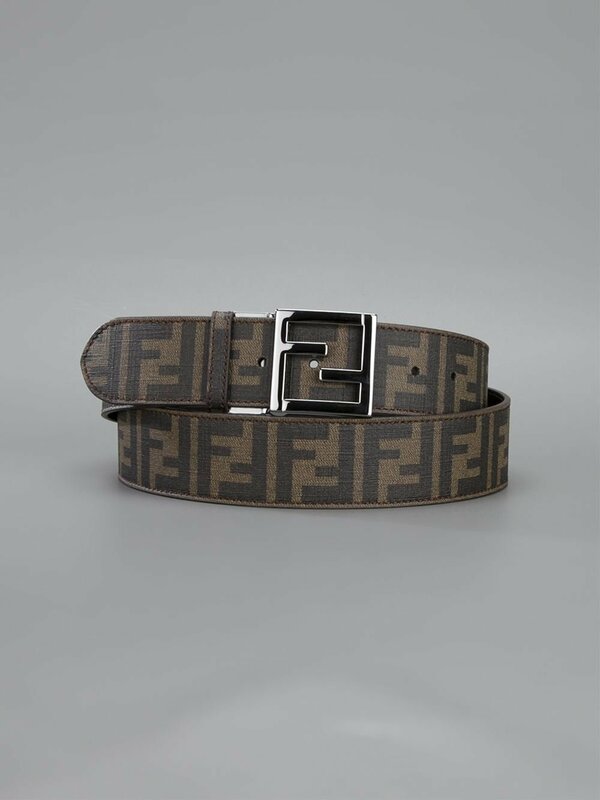 Featuring the monogram-print Zucca pattern on the leather belt, it showcases the initials of the Italian fashion house. Moschino is doing a complete overhaul of their image, and along with that comes a new logo. 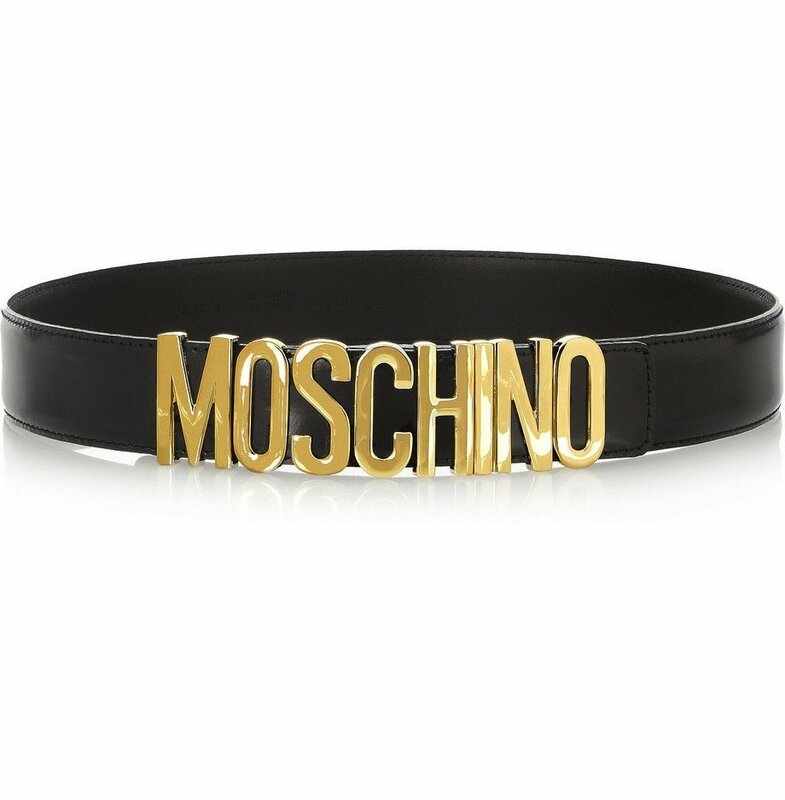 The new Moschino belt is very stylish and looks great on all clothing styles. The Givenchy HDG Belt is a new belt from the house of Givenchy. 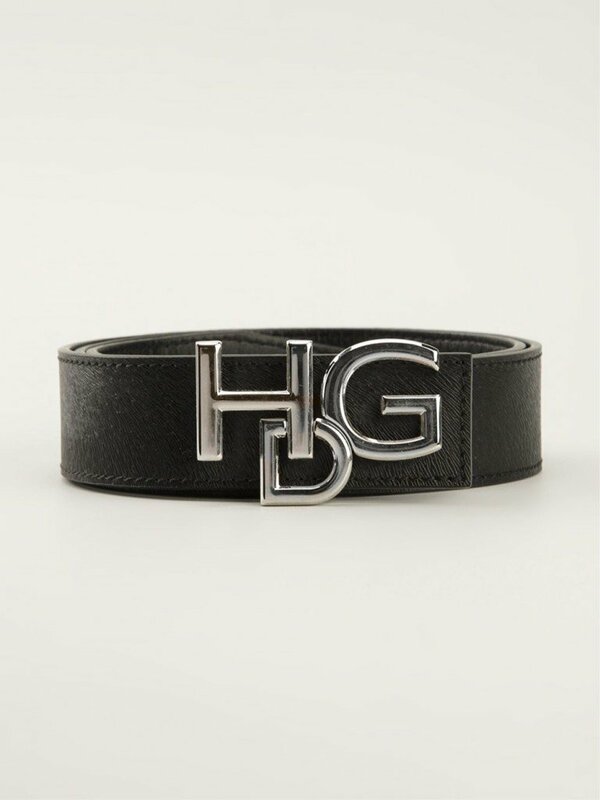 With a big silver belt buckle that displays the letters “HDG” the belt looks very fashionable.